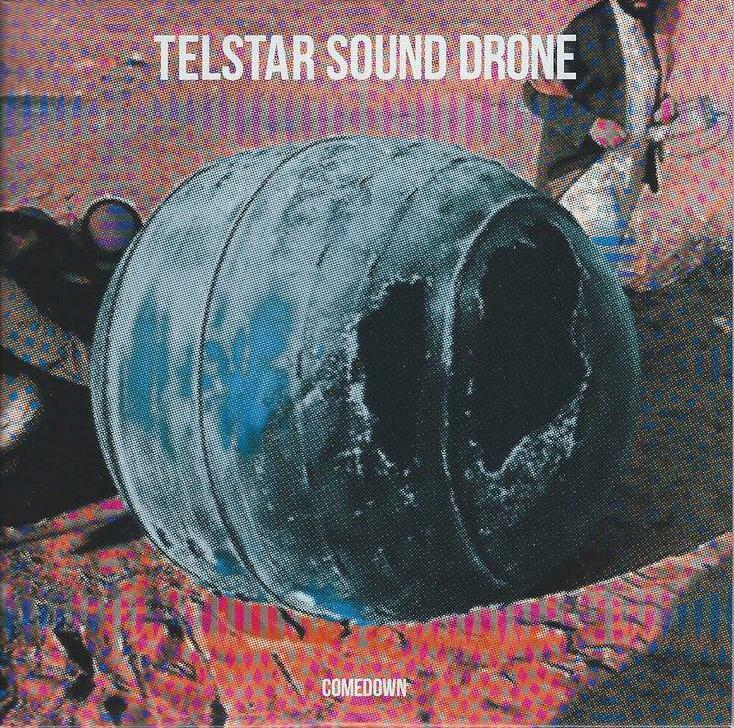 Telstar Sound Drone are a Danish band that formed in 2007, released an EP, a 7″, and now their first full length album. One of the reasons it took so long to complete the album is that two members serve double duty in the frequently touring Baby Woodrose, which also gives you a hint as to what you might expect from the music on Comedown. The band come tearing out of the starting gate with Through The Back Of Your Head, a hefty slab of hard rocking and ultra-trippy psychedelia, with dual guitars and spaced out effects. Satellited is next, with one guitar ripping out razor sharp licks while the other injects a surf-like edge and the bass throbs relentless in your head. The 7+ minute Feels Like A Ride is the longest song of the set. After a 2 minute intro of swirling flying saucer effects and slowly rumbling guitars, the vocal portion begins, the entire song being a floating outer space psychedelic journey. These guys really make good use of multiple guitars, with rhythmic strumming and heavily space efx’d guitars working in tandem. Feels Like A Ride bleeds smoothly into the acoustic guitar plus deep space soundscapes of Now See How, which has a vibe like the Hawkwind song Space Is Deep. We’re rocking hard again with the heavy driving, guitar screaming Evaporation. Lost Our Love has a killer combination of brain-frying efx’d UFO guitar, bubbling liquid trip guitar and a garage rocking edge, as well as a sweetly catchy melody. And the similarly tripped out Cabin Fever closes the album, giving the listener a chance to catch their breath. In summary, I LOVE this album and it will easily make my Best of 2013 list. Telstar Sound Drone are heavily 60s influenced but they incorporate heavy doses of space rock into the music as well. Think of a cross between Baby Woodrose and Vibravoid. Comedown will be released May 27th on vinyl LP and download. Note that the first 500 copies of the LP will include a CD of the entire album.